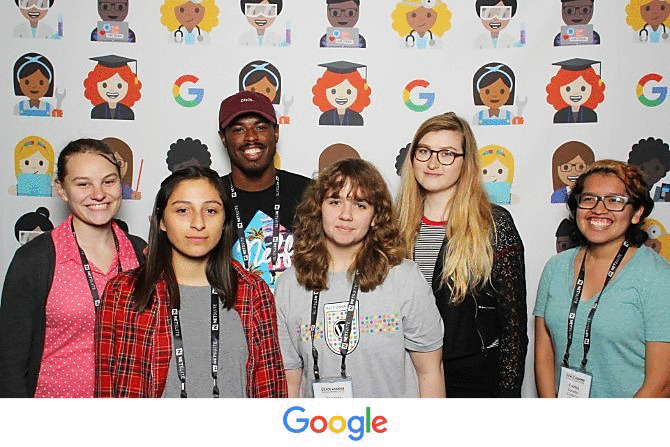 Supported by scholarships from the Peggy and Jack Baskin Foundation, seven computer science and engineering students -- five of whom were “Baskin Scholars” -- were among approximately 15,000 who attended the Grace Hopper Celebration of Women in Computing. The event, which has been running for more than 20 years, has grown dramatically in the last 5-10 years, as campuses across the nation have begun to realize the impact it can have on students. Through technical and professional development workshops, keynote talks, social events, a career fair “expo” and more, the Grace Hopper Celebration shows female -- and other underrepresented -- students that they aren’t alone, that there is a place for them in the computing sciences. “The Grace Hopper Convention has motivated me greatly to continue pursuing an engineering major. I am very grateful to be given the opportunity to attend,” said UC Santa Cruz attendee and Computer Science major Remeal Holloway. The Baskin Scholars program was established in 2015 with funding from the Peggy and Jack Baskin Foundation. The program is an integrated scholarship and mentoring program, whose goal it is to increase the number of financially disadvantaged students, particularly women, who complete undergraduate degrees in Computer Science and Computer Engineering at the Baskin School of Engineering. “When I first came to UCSC, I was not so sure if I wanted to pursue engineering and being a Baskin Scholar has given me the extra push to look and see what engineering is about,” said Angela Rodriguez, an undergraduate student who plans to declare her Computer Engineering major this quarter. Baskin Scholars unanimously agree that the scholarship helps alleviate their debts so that they can focus on school rather than on how they are going to pay for it. Peggy Baskin has long been a champion of women of all ages -- in politics, in science, in education, and most certainly in college. She was a senior lecturer at UC Santa Cruz, teaching Women and Politics and Women in Power. Jack Baskin is a retired engineer, real estate broker and developer, a former trustee and former president of the UC Santa Cruz Foundation. A well-known local philanthropist, Jack has been involved with the campus for more than 30 years.